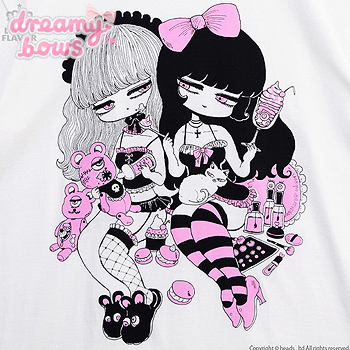 This simple and cute collaborative cutsew top from Yoshijima Shiu x Listen Flavor is super soft and comfortable with a cute illustration of two girls in ero-style surrounded by toys, sweet treats and perfumes. 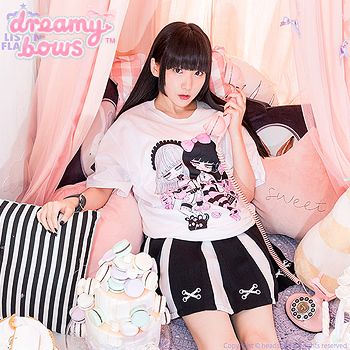 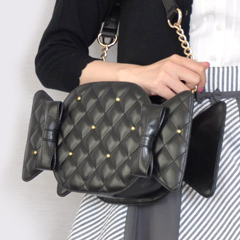 This cutsew top can be co-ordinated with darker styles such as creepy cute, Harajuku Punk, and Menhera-Kei. 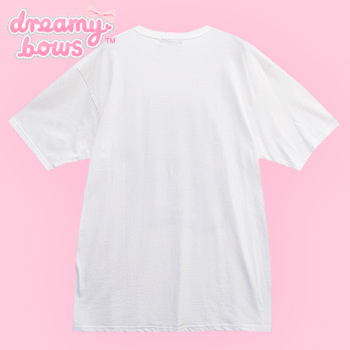 This tee is also great for casual wear as the tee is loose fitting.